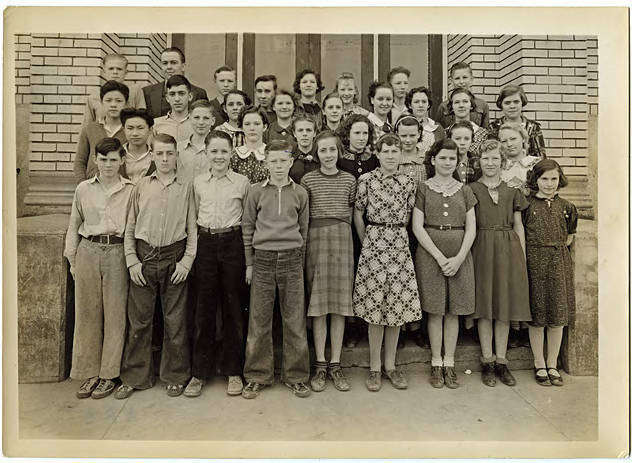 Black and white image of a group of students gathered in front of a brick school building, identified in museum records as Gaston School. As Gaston was one of the larger schools in the district, having 158 students registered during the year, this is likely one grade or class. See WCMpic_012980 for another image from this school year.